Do you remember the Coolest Cooler? The Kickstarter dynamo has, like so many before, it dragged its heels in getting coolers to backers. Now, people are getting upset. It started with delays in delivering the product on time, which is a common thread for Kickstarter hardware initiatives. It ballooned when the company started selling the cooler via Amazon without having fulfilled orders to those who backed it via crowdfunding, much less mentioning it would be there. The setback was reportedly caused by supply chain issues (again, this is why Kickstarter hardware projects typically make people angry; they don’t have the supply chain nailed down). 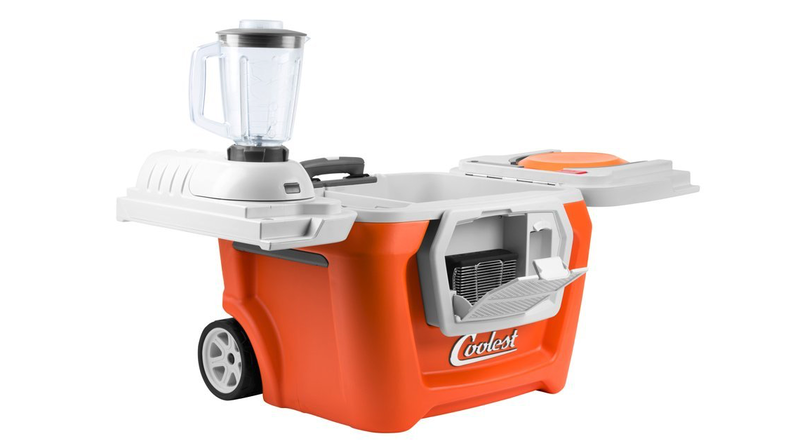 In a blog post addressing the outrage, Coolest says it plans to have all coolers purchased via Kickstarter out in the Spring of 2016. The original timeline called for a January/February 2015 shipment to backers. I reached out to Coolest about the dustup, and the team says the delay hinges on a “battery motor,” though a blog post addressing its supply chain woes says it’s the blender motor that’s giving Coolest problems. Coolest claims its motor manufacturer “went on strike and stopped production.” It hasn’t offered any solid evidence to back that claim up. This won’t be you for a long, long time. It’s worth considering backers may not even care about the product by the time it reaches them, too. It has already altered its original design to cobble in a proprietary Bluetooth speaker and hideaway for your belongings (which doesn’t have a lock). If that sketchy motor breaks down, is there any confidence Coolest will replace or repair it? It’s definitely the coolest cooler I’ve ever seen, but that patina is wearing off. Now, it’s just another Kickstarter shitshow that aimed high and let backers down hard. Coolest’s ‘aw shucks’ attitude doesn’t help matters, either.